Perhaps the best example of owned media is a website. In the age of Mobilegeddon, how does your website perform? Meme inspired by 1958 McGraw-Hill ad by Fuller & Smith & Ross, Inc.
Once upon a time, Rebuilding Together had an image problem. Some people thought they were a second-rate version of Habitat for Humanity. You see, Habitat BUILDS BRAND NEW HOMES for low income families. Rebuilding Together FIXES OLD HOMES for low income families. And NEW is better than OLD, right? Truth is, a lot of people don’t like change. Not enough oven space at Thanksgiving time? 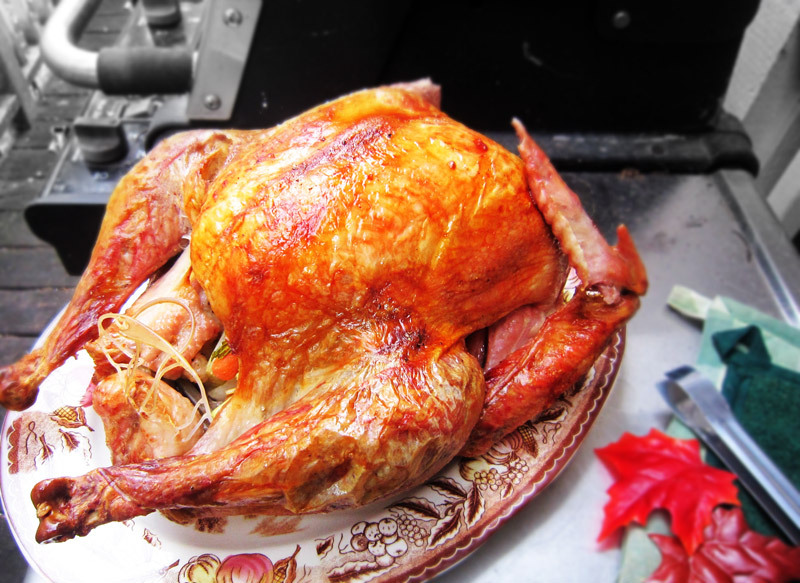 For the last 15 years, we’ve been making our turkey on a Weber gas grill. It’s a lot easier than you think. And it comes out juicier than any turkey made indoors. The reason why, according to Mike Kempster, Weber Executive VP and CMO, is unlike an indoor oven which simply recirculates dry air, your turkey in an outdoor oven (a.k.a. Weber or other top-quality gas grill) is surrounded by a fresh stream of moist outdoor air. I confess the first time Mike told me this, I raised an eyebrow in disbelief. But with more than a decade of grilled birds under my belt (figuratively and literally), I know it to be true. Permit me to make a suggestion: Do what I did the first time. Grill your first turkey the Sunday after Thanksgiving, when supermarkets slash the price of their remaining birds. If you screw up at the grill, you’re only out a few bucks. But trust me, you won’t screw up. Because as I said, it’s a lot easier than you think. And it comes out juicier than any turkey made indoors. In fact, I’d venture to guess you’ll become a grilled turkey convert, too. And on Thanksgiving Day 2017, you’ll inaugurate a new family tradition.